Just because you’re a runner, doesn’t mean you can’t have a little fun, wearing costumes for running. Some of our favorite races are perfect for running in costume, in fact – many of them actually encourage it… especially the traditional Turkey Trot. 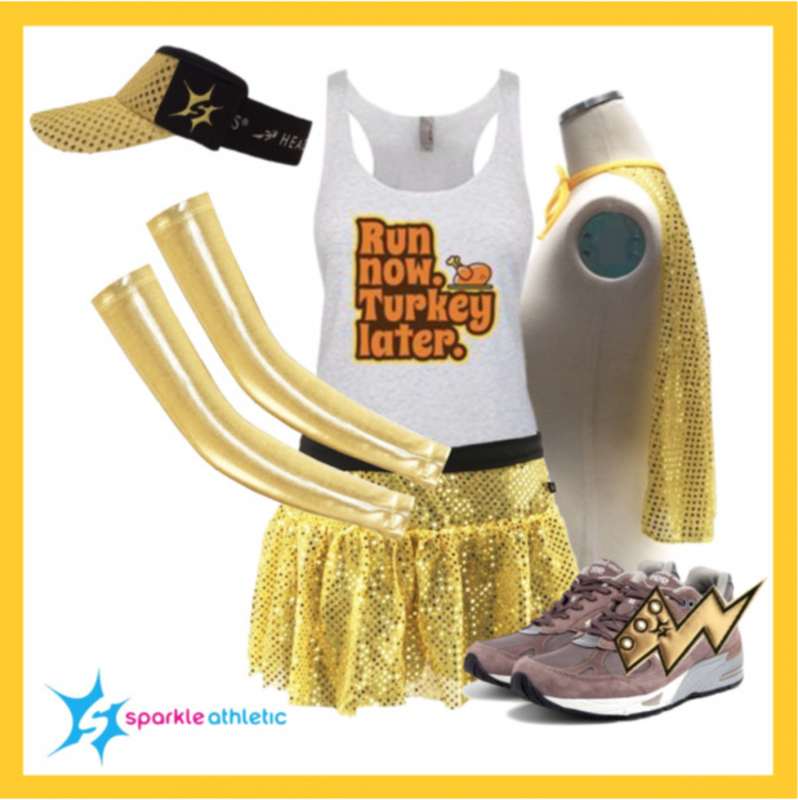 Get everything you need for your “Run Now, Turkey Later” Running Costume here. Assembling the run now, turkey later running costume is pretty self-explanatory… but once you’re dressed, voilÃ ! A quick and easy costume that is perfect for a Thanksgiving run or turkey trot.